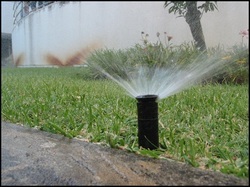 ​We design, manufacture, & sell an innovative Poly-stretch sprinkler coupling. Our product allows contractors & homeowners alike to fix broken sprinkler pipes with ease. Our second generation family owned business takes the utmost pride in our product. Rainmaid hand checks each coupling that goes out for distribution to guarantee the highest quality product is delivered to our customers.